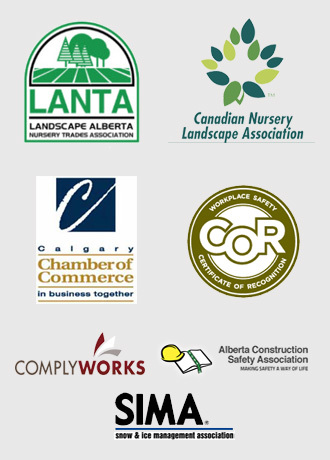 At Mirage Landscaping of Calgary we know the importance of professional commercial landscaping service as a money and time saver for our commercial clientele. Professional landscaping can also make the difference between driving business to your company rather than a competitor’s. Whether we are talking property clean up, regular lawn maintenance, sprinkler installations, or snow removal in the dead of winter, a contracted professional landscaping service provider like Mirage Landscaping of Calgary shows you care about the details. When we spruce up a private residence, what we are boosting is called “curb appeal.” It is demonstrated time and again that good landscaping makes a house more valuable to potential buyers. Curb appeal for businesses is also about both welcoming repeated customer traffic. The secret to effective curb appeal is to keep the costs of doing it reasonable and sustainable. We always draft a clear and coherent landscaping master plan that has one eye cast on future maintenance costs, and aim to save our clients their hard earned money in the long term. Doing so can mean simply working with what you have. If you already have trees, we can make them work within your overall vision. We can also push your vision to help create something you didn’t know was possible within your budget. By making your entrance visually striking and welcoming, you will create the perception that your business is not just another place to pick up whatever goods or services you sell. Great landscaping creates a subconscious connection between you and your customers, or tenants, or what have you. It tells people that they want to shop, live, or relax at your place, and more importantly, not at someone else’s. Is your business about style? Use your landscaping to convey that by requesting out of the ordinary features. We are a full service landscaping construction company. If you can conceive it, and it’s physically possible, we can execute your vision. Perhaps you want to let people know that you are eco-friendly? We also have all of the knowledge to plant native species or drought tolerant landscaping so that your business sensibilities align with those of your customers. We can choose drought resistant plants or shrubs that require less care and pruning. We have been in this business for over three generations. We know what works well together, and how all your plants will look like when fully matured. Most importantly, with an ongoing business relationship, we have your back when the going gets tough. Remember all that snow a couple of winters ago? We kept all of our clients’ properties safe for customers despite the record challenging amounts of snow we had to truck out of town. Additionally, if you have a lot of walks and parking to contend with, you may not want tons of leaves deposited upon the concrete and asphalt every autumn. If you only have one public entrance, you don’t want tree branches overhanging it where icicles could form. We keep an eye out for landscaping hazards that may not be obvious in good weather. 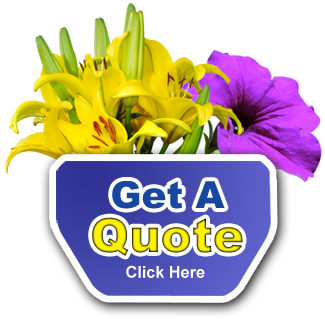 No matter your budget or size of lot, we always offer free quotes.